How do I contact a representative of the U.S. Navy at The Navy Yard? To reach the U.S. Navy at The Navy Yard, please contact the Naval Ships Systems Engineering Station (NAVSSES) at 215-897-7000 for questions pertaining to inactive ships, employment verification or personnel records, benefits, history, military lodging, and more. How do I get a job/career at The Navy Yard? Due to the large number of companies located at The Navy Yard, there is no central database of available jobs. We highly encourage you to explore the companies listed in the Campus Directory, and inquire with any companies of interest directly. How do I get to The Navy Yard? How do I get to a specific building? For directions to The Navy Yard please visit Information & Directions. If you are looking to locate a particular building, please consult our Campus Map. Can I board the naval ships at The Navy Yard? Boarding of the naval ships in the Reserve Basin or along the Delaware River is strictly prohibited. For further details, please contact the Naval Ships Systems Engineering Station at 215-897-7000. Where can I find the schedule for The Navy Yard Shuttles? How do I use The Navy Yard Shuttles? For shuttle schedules, please visit The Navy Yard Shuttles page. For more information, please call 215-218-9750. 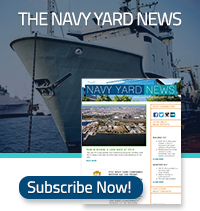 Where can I find contact information for other Navy Yard companies? Please visit the Campus Directory. How can I find out about RFP/RFP opportunities? Please visi our Property and Development RFPs/RFQs. How do I get to the Navy Building to get my Navy ID? Please call 215-897-7001 for questions regarding military IDs, including directions to the ID office, located at Building 29 (4700 S. Broad Street). How can I be a vendor (general contractor/cleaner/landscaper/etc) at The Navy Yard? Please contact CBRE, The Navy Yard’s property management company, by calling 215-218-9750. What are the hours for The Navy Yard Lunch Truck Lineup? Mobile food vendors can be found at The Navy Yard on Thursdays from 11:00 AM – 2:00 PM during the spring, summer, and fall seasons. Please visit our social media sites for more details, or email info@navyyard.org for a copy of the current month’s schedule. Can I do a walking tour of The Navy Yard? Yes. Please download a copy of our Walking Tour & Visitors Guide. You may use the self-guided walking tour during any of the hours that The Navy Yard is open to the public, Monday-Friday from 6:00 AM - 8:00 PM. How can I purchase/lease a property at The Navy Yard? Please visit our website for a listing of available real estate listings. For specific inquiries, please feel free to email properties@navyyard.org or call 215-THE-YARD and ask for the Real Estate Manager. Can I rent a warehouse for an event? At this time there are no warehouse spaces available for event rentals at The Navy Yard. Can my company (corporate/personal/group tour/fundraising, etc.) hold an event at The Navy Yard? For information on hosting events at The Navy Yard, please see our Event Page.